Our alumni have gone to work all over! Explore our map to see where the skills and experience gained from a Corps term can send you! January 1, 2018 by Kellie Lager. Shane M. DeGroy is currently a Forestry Technician with Hennepin County, Department of Environment & Energy. Shane served with Conservation Corps MN & IA in 2015. Read on to learn about his experience during and after the Corps. What kind of work did you do when you were in the Corps? The first was Environmental Stewards with Conservation Legacy. I served with USGS by aiding in research and helping combat the spread of invasive reptiles in Everglades National Park. My second AmeriCorps experience was with Conservation Corps MN & IA. I was based out of Rochester, MN- and mostly served in the region’s state parks. Depending on the season I felled trees, pulled or sprayed invasive vegetation, and participated in prescribed burns. Most recently I finished up a service term with the MN GreenCorps. There I was placed with Hennepin County’s forestry program, where I now work today. Shane is pictured on the right during a prescribed burn with Conservation Corps. Every prescribed burn I participated in was both a memorable and challenging experience. But they were also the most fun! What was the most personally meaningful part of the experience? The most personally meaningful part of my Corps experience has been all of the connections I’ve made during my time serving. I’ve made some great friends who I still see, even years later. How did your experience shape your career/life? The experience and skills I gained serving with CCMI and MN GreenCorps is a huge part of where I am today. From those two service terms combined with my education background I qualified to take the International Society of Arboriculture’s exam to become a Certified Arborist. In addition, I was able to use those skills to get hired as a Forestry Technician- a job that I love doing and work that I find incredibly satisfying. (Also, the education award was very helpful). Oil your boots! I’ve been out of CCMI for over three years and mine are still going strong! I don’t wear them every day, of course- but it is nice to have them should I need a good pair of steel toes for a project. What did you do immediately after your time in the Corps? 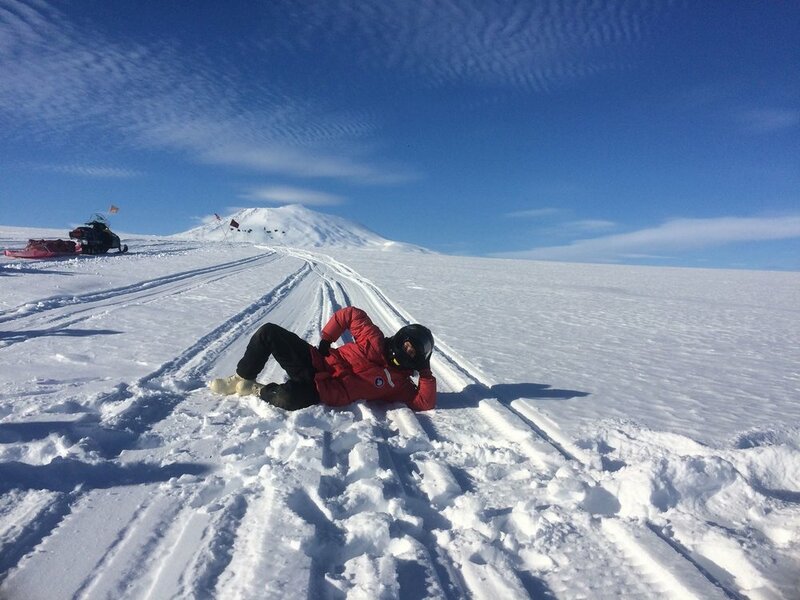 When my service term with CCMI ended I decided I wanted to try to go to Antarctica. For years I had been fascinated with the continent, and at the end of my term I wasn’t tied down to any job or housing, so it seemed like the perfect opportunity. And it was! I spent about three months working in the galley down at McMurdo Research Station, and I absolutely loved it. The end of a service term can be daunting if you don’t know where you’re going to live or work- but it can also be an opportunity. Currently I am working as a Forestry Technician for Hennepin County’s Department of Environment & Energy. I was fortunate enough to be hired on after spending a year serving with the county’s forestry program through the MN GreenCorps. I plant trees, organize volunteer events, educate students and volunteers about forestry, and provide technical assistance to communities within Hennepin County. September 25, 2016 by Rachel Wagner. How did you get involved with the Conservation Corps? I was a recent college graduate from the University of Minnesota-Duluth with a degree in biology and a minor in environmental sustainability. After graduating in December I began my search for employment. A great resource for me in the process was macde.us. At this website I found the job posting for the Conservation Corps Individual Placement Academy position at a Soil and Water Conservation District as a conservation apprentice. I saw this as a great opportunity to serve a local community while gaining quality experience in my field. After applying and interviewing I accepted a conservation apprentice position located at the Le Sueur County SWCD. How long were you with the corps and what were your jobs/duties throughout your time here? I was with the Conservation Corps for three months (May 15th - August 15th). In that time I served as a conservation apprentice at the Le Sueur County SWCD. 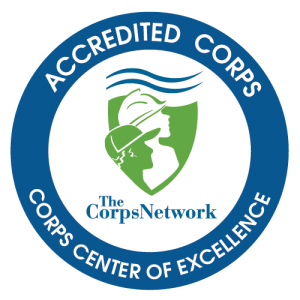 Are there any meaningful stories that come to mind when you first hear the words Conservation Corps? I will always remember my first day as a conservation apprentice. I went out to a local food plot with the Le Sueur County SWCD district manager and technician. My first task of the summer was to seed the food plot with sorghum using their new dew drop drill. At this point I knew I could make a career out of this type of work and it never would have happened without the opportunities provided by the CCM. Did your experience with CCMI influence your career or life? Definitely, it allowed me to get hands on experience that couldn't be gained any other way except for working side by side with SWCD professionals. Through working as a conservation apprentice it allowed me to gain experience and build relationships necessary to further my career in environmental conservation. What would you say to anyone who’s interested in joining CCMI? Join. The CCMI is a great opportunity to serve your community while preserving our natural environment and providing valuable experience to continue working in the environmental conservation field. I would recommend joining the CCMI to anyone and especially applying for the conservation apprentice position. You will also meet great people. I recently accepted the Farm Bill Technician position at the Le Sueur County SWCD. The relationships built and experience gained through the conservation corps has set me up for success in my career. September 23, 2016 by Bailey Erickson. One of my favorite moments while serving as an AmeriCorps member in Minnesota was teaching a couple ladies to chainsaw in Superior National Forest (SNF). Back then in 2009, I served as a SNF field specialist and it was my job to guide the crew leaders and members in using and maintaining equipment and also, navigating the woods safely. These two ladies were hesitant to handle a chainsaw, but once they got some earnest encouragement, they were convinced they could do it. After they were trained and had gradually learned to operate that intimidating piece of machinery, I saw how empowered they felt. One of the young women looked at me with amazement after bucking her first log. “That was fun! I had no idea!” she said with a renewed excitement to be serving on a trail crew. I loved the feeling of introducing people to hard work in the backwoods and in the process, helping them discover themselves. After spending time in SNF, I served in an Individual Placement position at the Dept. of Natural Resources headquarters 2010 and 2011. As a sidenote, I should mention that after living in the woods for most of 2009, learning to tame myself for an office job was a bit of a challenge. On a trail crew, I didn’t have to think about how loud I was talking, what I was wearing and or how many calories I was consuming - we did so much hiking and manual labor that I could eat whatever I wanted. Working in an office was actually just as hard as doing trail work, but in very different ways; understanding office politics, email etiquette, and how state government operates was not an easy process. And of course, curbing my sweet tooth was a necessary chore. I felt incredibly fortunate though to get that position doing communications and outreach for state parks and trails. I had graduated college with a degree in communications and my time with Conservation Corps Minnesota & Iowa helped cement my desire to focus on natural resources. I remember enjoying the launch of the I Can Camp! program, a partnership with REI that teaches families how to camp. I did an interview on KFAN radio about the program not long after I started and it still scared me to be a spokesperson. That said, my DNR mentors were kind and patient and coached me into being a voice for state parks and trails. One particularly memorable interaction came when I was facilitating one of the first I Can Camp! workshops and I met a single mother and her son. She was petrified of the woods and camping and hiking, but she wanted so desperately for her son to grow up being outdoors. We were at Interstate State Park in Taylor’s Falls and I helped her set up her tent and we talked about her fears; mostly, she was worried about bear attacks and death-swarms of mosquitos. For her, she had only ever experienced the outdoors through movies that used the woods as a scary backdrop and her fears needed to be addressed before she could feel comfortable camping. That conversation stuck with me and I started to understand how important programs like I Can Camp! are to a community’s investment in natural resources. If you’re too scared to spend time in the woods, how likely are you to vote for funding to protect public lands? This woman and her son were precisely the folks we were hoping to reach and bring into the conservation community. Once I had been with the DNR for a few years, I headed to Alaska to work for a conservation nonprofit and after that, I took a job in Louisiana with the National Audubon Society. Finally, a couple years ago, Audubon opened a communications position in the Twin Cities and I jumped at the chance to get back to Minnesota. She had gone far beyond Minnesota state parks and in the years since I had met her, she had started exploring as many state and national parks as possible with her son. I found her persistence quite inspirational and I was impressed with (and a little jealous of) all the unforgettable experiences she was having with her son. I still work for Audubon as a communications manager out of our Minnesota office in St. Paul. Much of my work consists of bringing people together through bird stories to do great things for conservation. When we see that bald eagles, white pelicans or little songbirds are doing well, conservationists know we’re doing something right. When we see common loons struggling to thrive or secretive marshbirds in steep decline, we know we need to take action. Birds are great indicators for the state of our natural resources and I feel privileged to dedicate so much of my time to spreading that message. Underlying my professional mission is a personal passion for the shaded trails, lovely parks, hidden streams, and all the wild places we’re so lucky to have in this state. I owe much of that passion to Conservation Corps Minnesota & Iowa for getting me into the woods and cultivating an appreciation for where I live, work and play. Ashley was featured in the Star Tribune in April 2018 where she shared about how her passion developed for the outdoors. Click here to read the article. September 22, 2016 by Rachel Wagner. When were you in the Corps, year and program? I was on the 2015 Water Trails Crew, also known as Central Roving. This was one of the full term field crews (young adults ages 18-25). Our shop location was the Hamm’s Brewery in St. Paul, MN. From February to mid-April, my crew worked on local projects like buckthorn removal. From April until October, we went all over the state, traveling to different scenic rivers designated as State Water Trails. We went everywhere from the Des Moines River near Jackson, MN, to the Whitewater River north of Winona, MN, to the upper Mississippi north of Itasca State Park, and the Little Fork River near Tower, MN. We spent a whole week on one river, and camped nearby at state and county parks, and one time even camped at an organic farm near Lac Qui Parle State Park and were fed fresh cooked meals for dinner. During the non-water trails season, we worked on invasive species removal, riverbank restoration, indirect fire suppression, tree plantings, rain garden maintenance and installation and nursery work including native prairie flower seed harvesting. During the water trails season, we spent every week cruising rivers looking for obstructions like beaver dams and log jams. Depending on the river level, we either boated upstream or paddled down. Some days, we’d clear 10 jams, and other days we wouldn’t hit a single one. This meant sometimes we’d paddle down some of Minnesota’s most beautiful rivers, and never even have to bust out the chainsaws. When we’d find an obstruction on the river that was impassable, we’d either have to remove it via chainsaw from the boat, or park the canoes, put on the waders, and stand waist deep in fast moving water while chainsawing a half-submerged cottonwood. This was by far, absolutely the coolest job I’ll ever have! Trying to explain the art of rooster tailing to others is so hard. At the very beginning of water trails, during the training week on the Rum River, I became absolutely terrified that I was in over my head. The skills and coordination it takes to drive an outboard motor boat (with my seemingly-useless-most-of-the-time left hand) up a narrow and winding river, and having to lean over and chainsaw from the side of the boat, were something I wasn’t sure I could acquire. I called my Mom, and a little choked-up, told her I wasn’t sure if I could do this. She told me to give it to the end of the week, and to not do anything I wasn’t comfortable with. Low and behold, I smashed the boat into the river bank later that day, and nothing happened. The boat didn’t spontaneously combust, no one flipped overboard, and not one of the crewmates got mad at me. Skillwise, we were all in the same boat! Everyone was so incredibly supportive, and for the rest of the summer, I’d find that I had my own personal crew of cheerleaders. Cheering me on to become a master of chainsawing from a boat, and backing up a trailer, and navigating winding/narrow channels. With a good crew, you can really do anything. The most meaningful part of the Corps experience is by far the sense of community that you gain. Brian Miller and Dorian Hasselman warned us that we’d all be best friends by the end the year, and that certainly came true. The experiences we went through together are akin to those of traveling abroad together, going through trauma together, fighting together. We were there for each other through injuries, breakups, family deaths, and general work hardships that come from working and living outdoors for 6 months. Not only did our crew become a group of forever friends, but we also felt closer to the communities we worked in. My crew was fortunate to have traveled to parts of the state that are so underappreciated and places that we would not have otherwise ever visited. One particularly charming little town we visited was Montevideo. The folks were so friendly, and were doing everything they could to protect their rivers amidst vast portions of ag land. Did your experience shape your current career/life in any way? My experiences with the Corps made me want to extend this feeling of community to my life after the Corps. I have since created the Women in Natural Resources group. We are trying to create a community that encourages and empowers women to choose and thrive in natural resource careers. We are trying to provide professional networking opportunities to young women who may be starting out their careers in natural resources, and also help build leadership and technical skills. I draw from the Corps all the time to help lead this group of women. Recently I held a Truck and Trailer Woman Led Workshop, in which I taught members how to back up a trailer. This was a big hit, and completely owed to the training I received from my time with the Water Trails Crew. I also draw on my experience with the Corps in my leadership style. I watched each crew leader tailor their leadership style to each member, as we all learn differently. Some need/want lots of direction, as others may learn best from a hands off approach. I try to gauge individual personalities, and provide as much or as little assistance as needed to encourage folks to push themselves into learning and doing new things. A side note, Women in Natural Resources (WiNR) recently visited CCMI’s central crews for their education day. We shared our mission and goals, and invited everyone to join us in some of our upcoming events. It was such an honor to be able to come back and share some of the knowledge and inspiration that I received from the Corps, with it’s new members. I hope to stay involved with CCMI as an individual, and as the founder of WiNR. Additionally, my passion for the Corps and its mission has inspired me to continue on with the work. Even though I have been trained to be a Forester, I missed working with people. This is why I am heading to Vermont to work with the Vermont Youth Conservation Corps (VYCC), instead of heading to the woods to inventory trees. I have studied at the University of Minnesota for the past 2.5 years, and will be graduating this May with a B.S. in Forest and Natural Resource Management, and a minor in Environmental Science, Policy and Management. I have also held many part time jobs while in school including a Seasonal Horticultural position at Three Rivers Park District, and have worked as an Undergraduate Research Assistant for the Forest Ecology Lab in the Department of Forest Resources within the University of Minnesota. Additionally, I have held two Forestry internships with the Minnesota Department of Natural Resources, and the United States Forest Service. After I graduate I am going to Vermont to work as Program Team Lead for the VYCC Farm Project. They partner with the Vermont Health Care Share (HCS) that uses the VYCC’s farm grown foods to provide healthy vegetables to those who have diet-related illnesses or food insecurities, and have been prescribed a more nutritious diet. I will be helping develop, coordinate and facilitate projects and classes for youth crews as they grow and harvest the vegetables to be delivered to HCS patients. September 21, 2016 by Bailey Erickson. Tell us about your years of service. What kind of work did you do? My Conservation Corps journey began in 2015 when I joined the bizarre and enigmatic Youth Outdoors 2 crew based out of Saint Paul (a certain Charley Brown Christmas Tree carefully positioned at our shop and adorned with pieces of garbage comes to mind). I spent the next two years with YO2, first as a crew member and later as a crew leader, working to manage and enhance floodplain forest habitat throughout the Mississippi National River and Recreation Area. My crews also helped manage and restore native prairie throughout the city, maintaining natural buffers at Phalen and Como Regional Parks and helping Parks and Recreation staff implement their prescribed burn program. I also co-led crews of six to eight high school youth in conservation initiatives throughout the city. The youth worked on many of the same projects as our adult crew in addition to a variety of civic engagement projects throughout the year: supporting urban farm and garden operations, leading Arbor Day volunteer events, and planning community education activities for the Citywide Spring Cleanup. The youth also completed a service project at the end of each term, which was always a highlight! The two years I spent with the Corps are chock-full of memorable experiences. If I had to choose, I’d say my favorite has to be the 2015 Arbor Day tree-planting event at Lilydale Regional Park. The event was the culmination of a long, intense floodplain forest enhancement project at Lilydale, which involved an almost immeasurable amount of cutting, pulling, hauling, stacking and piling. I couldn’t help but feel an enormous sense of pride and accomplishment as my crewmembers and I joined a great group of volunteers to plant hundreds of native trees and shrubs throughout the park. It was a lot of fun and I’ll never forget it! What was/has been the most personally meaningful part of the experience? How did your experience shape your current career/life? The Arbor Day planting, together with all the projects I worked on as a YO crew member and leader, have helped me realize the importance of maintaining and restoring natural areas within urban environments. I’ve seen firsthand that natural resources conservation and restoration improves the health of urban landscapes and the wellbeing of entire communities. Restoration work also helps to create an awareness of nature found close to home, shedding light on the fact that we’re perpetually surrounded by beautiful and inherently valuable natural systems, even in the middle of the city. I hope to continue this work throughout my professional and academic career. What is your current position? What do you do? I now work as a natural resources technician for Saint Paul Parks and Recreation, continuing many of the projects I started as a YO crew member and leader. In the fall I’ll be returning to the University of Minnesota to pursue a Master’s degree in Landscape Architecture with a focus on ecological restoration. September 20, 2016 by Bailey Erickson. Prior to Conservation Corps, Ben Rabe had taken only one environmentally focused undergraduate class and didn’t know much about energy efficiency. Now, Ben holds a Master’s Degree in International Energy Policy, is a Certified Energy Manager with the Twin Cities Chapter of the Association of Energy Engineers and works as a Senior Policy Associate for Fresh Energy. “Conservation Corps shaped my studies and my current career,” said Ben. Ben was part of Conservation Corps’ Home Energy Squad from 2009-2010. In partnership with the Neighborhood Energy Connection and Xcel Energy, Ben and his fellow crew members would do mini-audits and energy saving installations in East Metro homes. Devices they would install included; compact fluorescent lightbulbs, water heater blankets, low-flow aerators and shower heads, weather stripping for exterior doors and programmable thermostats. Ben served with the first of two Home Energy Squads, which eventually grew to 12! His fellow ‘squad-members’ became life-long friends. Ben is getting married this September, and one of his friends from the Corps is an usher and another is officiating the ceremony! Today, Ben is busy defending policies that improve building energy efficiency. A typical day may include prepping legislative members on talking points, testifying at committee hearings and writing documents to communicate policies to the public. Thank you, Ben, for all of your hard work to improve energy efficiency in Minnesota! September 19, 2016 by Bailey Erickson. Frank Herman was a crew leader at St. Croix State Park during the summer of 1988, however, as he talks about his experience it is as if he served just last summer. “The memories have never left,” says Frank. “My experience spirals through my whole life. It was such a unique experience and the people I met that summer became like family.” Frank has recently gotten reconnected with the Corps through a Corps Class of ’88 Facebook Group and as a new Alumni Council Member. After starting a family and becoming the Principal of Robbinsdale-Cooper High School, Frank wants to give back to the organization that helped shape him. During his Corps service, Frank served at a variety of State Parks clearing trails and hauling brush. He learned the importance of hard work and perseverance while on spike in exceptionally hot weather creating new trails. Also, his passion for working with High School students was affirmed while leading crews of young people, including Deaf & Hard of Hearing students. Serving with the Corps also taught him the balance between preserving natural resources and creating accessibility for recreation. September 18, 2016 by Bailey Erickson. Over the last two years I have traveled thousands of miles, met hundreds of people, and learned more than I ever could have imagined. I always tell people that joining the Conservation Corps was my best accident, something I never planned to nor, to be honest, wanted to do. But the door opened, and my path turned, and I became a member of an immense and vibrant community of national volunteers. So, thank you CCMI, for showing me that ‘service’ can be whatever is needed to meet the needs around me and for letting my ‘office’ be anything from a kayak to a trail to a classroom to a roof top in Puerto Rico. Field Crew: Based out of Moose Lake Parks and Trails; spent a significant time working in St. Croix State Park and up the North Shore, and completed a deployment in Baton Rouge, LA. Individual Placement: Based out of Fargo, ND but worked throughout the Red River Basin of the North, spanning from the Breckenridge to Fergus up to Thief River over the Minto and down to Fargo. Completed a deployment in Puerto Rico. Field Crew: Spent a significant amount of time doing wildfire, trail maintenance, and working in the BWCA. IP: Educational programming for High Schoolers through River Watch and for 4th Graders through our River of Dreams Program, water monitoring in the Buffalo River Watershed, and GIS, primarily working on a Drained Basins inventory. - Boundary Waters: I just reread my blog post from this project, and a lot of it remains true. It was exhausting and difficult work but incredibly rewarding. - Disaster Responses: Hands down my favorite aspect of my terms with the Conservation Corps. I grew in more ways than I thought possible. Learning about the power of water and natural disasters was a theme of my service, both during my time on a field crew and as an Individual Placement. During my two years with CCMI I was able to respond to both the Baton Rouge Floods and Hurricane Maria; both of which have been the highest privilege of my young adulthood. The opportunity to tangibly serve people when they are experiencing a traumatic loss is something I will forever be grateful for. CCMI gave me space to grow both personally but also in what I want to do in my future career/life. It equipped me for my current position but also helped me decide to go back to school to pursue disaster response. Experiencing the results of natural disasters through wildfire and the BWCA blowdown during my field crew term and working with the MN Flood Damage Reduction Work Group during my IP term really combined well with my disaster deployments allowing me to clarify a vision for where I want to go next in life. At the International Water Institute, I combine my passions, and focus on our monitoring, educational programing, and geospatial analysis projects. As with most small non-profits, all of our staff wear multiple hats, and my job exemplifies that. In addition to my primary responsibilities, I contribute to maintaining the website and updating social media accounts. If you attend a River Watch event, you will most likely find me running around with a camera in hand. September 17, 2016 by Bailey Erickson. Thayer has volunteered on several non-profit organizations including the National Association of Hearing Officials, the Lambda Justice Center, the Minneapolis Foundation and the Minnesota Supreme Court’s Implementation Committee for Racial Fairness. 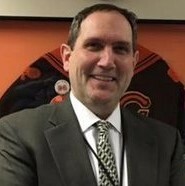 He was chair of the Public Law Section of the Minnesota State Bar Association from July 2006 to June 2008 and on executive committee of the Administrative Law section of the bar association. 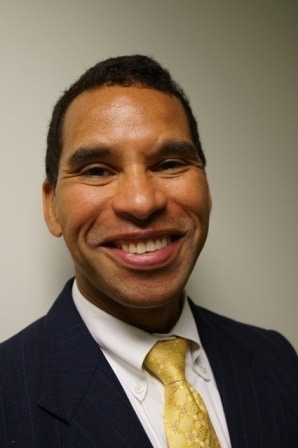 He was an adjunct faculty member of William Mitchell College of Law where he has taught legal writing and a practicum on poverty law and administrative hearings. September 16, 2016 by Bailey Erickson. When Preston looks back on his experience with the Corps, he thinks about all the work his crew was able to accomplish and knows that they had a positive impact on each project. But the projects weren’t the only thing to benefit. “My Corps experience positively impacted my life now by giving me the professional work experience to get a Wildland Fire job,” said Preston. Currently, Preston is a Wildland Firefighter at South Dakota Wildland Fire. 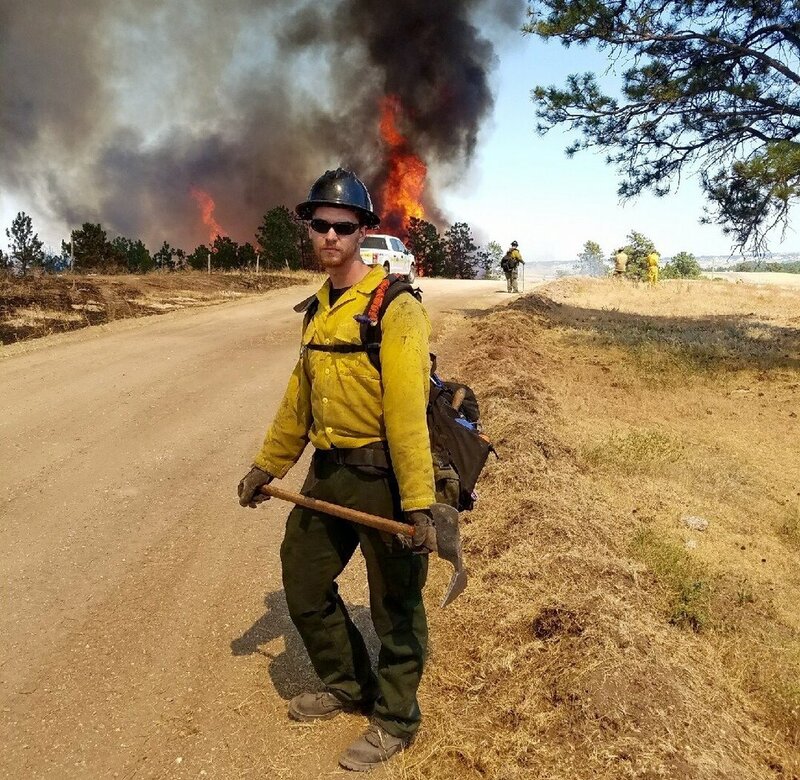 There, he serves on a 20 person handcrew responding to wildland fires in the Black Hills area, as well as national incidents in states such as New Mexico, Colorado, Wyoming and Montana. September 14, 2016 by Bailey Erickson. 1) When were you in the Corps, year and program? 2) Where did you work? 3) What kind of work did you do? We were the “bluff crew” and primarily did prescribed burning, invasive and tree removals, and rattlesnake surveys on the bluffs throughout SE Minnesota. We also worked on clearing brush, trees, and invasives along trout streams and trails, and we spent a fair amount of time on “spike” trips, especially to South Dakota to help with prairie restorations. 4) Were there any particularly memorable or challenging experiences? I certainly remember cutting down my first tree. It was a mixture of adrenaline, excitement, relief, and fear combined with the realization that I’d be cutting down trees for a good portion of the next year. I still have the “cookie” from my first tree that my crew leader made for me. 5) What was/has been the most personally meaningful part of the experience? I think I most enjoyed the people. The young people in Conservation Corps are really amazing and dedicated to improving the environment and natural resources. Also, the many partners we worked with from the Minnesota DNR and federal agencies, along with private land owners and other partners all provided great learning opportunities, experiences, and connections. I still connect with a handful of contacts at the Bureau of Land Management and the US Fish and Wildlife Service. I also ended up marrying one of my crew mates 6 years after our Corps experience together! 6) Did your experience shape your current career/life in any way? Certainly! Before the Corps, I knew I wanted to work in “the environmental field,” but I only really understood what that meant in a very broad sense. Working in the Corps helped me realize the many varied facets of environmental work, and I ultimately learned that I wanted to help coordinate a range of restoration and also that community-involvement and environmental education were almost more important to me professionally than doing field work (although I did have a lot of fun using a chain saw and doing burns!). I really felt an affinity for the environmental nonprofits we worked with, and I ended up going back to graduate school for my MS in nonprofit management because of my experience in the Corps. I now work for a nonprofit doing economic, environmental, and social redevelopment in the heart of Milwaukee, Wisconsin. 7) What is your current position? What do you do? I work for an organization called Harbor District, Inc. in Milwaukee, and my title is Manager of Water Projects. I actually work on a variety of environmental and social projects, though, ranging from improving public access and water recreation to coordinating with partners on large-scale restoration projects to leading educational kayak tours through Milwaukee’s Harbor District. 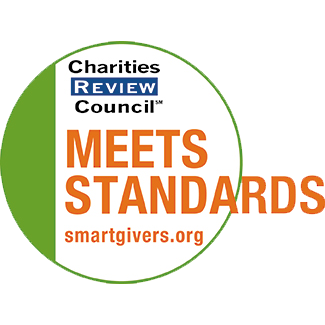 Similar to the Corps, I work with partners in all levels of government, the private sector, other nonprofits, and with academic researchers and students. I am currently working on a project where we install submerged habitat retrofits into steel sheet piling bulkheads which line much of Milwaukee’s urban rivers and waterways to improve aquatic habitat connectivity. The habitat structures are built by local technical high school students, and the project is building off of a habitat research project being conducted by the School of Freshwater Sciences at UW-Milwaukee. We just received funding through a national grant program to carry out the program for four more semesters with our partners, and hopefully the program can be replicated in other urban areas. We are also collaborating with partners to restore the last remnant wetland in the Milwaukee Estuary to provide improved fish spawning habitat. I really enjoy the variety in my work – we have a four-person staff, so I also help with day-to-day tasks needed to keep a small organization running. On any given day, I might process invoices for our projects, teach high school students about fish habitat in the urban environment, meet with City planners and engineers, and then lead a kayaking tour with the public. Without my experience in the Corps, I know my professional career path would have gone in a very different direction. I learned from many great mentors in the Corps, and of course after as well, that if I wanted to work in the environmental field and do meaningful work, that I’d have to stick with it, and that advice has certainly paid off. September 8, 2016 by Bailey Erickson. In 2015, Jacoby got an e-mail from his mom about a summer service-opportunity in Minnesota with Conservation Corps’ award winning Faces of Tomorrow initiative. Encouraged by his mom, who works for the department of forestry at Auburn University in Alabama, Jacoby and his cousin decided to give it a try. Thinking they would be working in the city, Ely ended up being quite different from what they expected! However, Jacoby is back this year for his third summer with the Corps. Jacoby has spent the past three summers brush hauling, working with chainsaws, completing water erosion projects and planting seeds. During his first summer, Jacoby had never used power tools before. He had trouble using chainsaws, finding it difficult to make proper cuts. Now, it is his favorite skill to practice and he enjoys seeing how much he improves year after year. In his third summer, Jacoby has become a leader. He is comfortable giving advice to his fellow members and helps them when they feel unsure. Jacoby is grateful for the opportunity to learn new things with the Corps and share that knowledge with others. As a member of MANRRS (Minorities in Agriculture, Natural Resources and Related Sciences) Jacoby wants to thank his advisors, Dr. Brenda Allen and Michelle Cole with Auburn Unviersity for inspiring him to take this opportunity. He is also grateful to our former NE District Manager, Chris Severson, for accepting him into the program for the past three years! Jacoby is currently majoring in Communication Studies at Alabama State University. He hopes to work in TV or radio as a Sports Reporter or do Public Relations for the Forest Service. Kristi Monsour spent a span of seven years between 2001 and 2011 with Conservation Corps’ Summer Youth Corps program. Her roles changed over the years. As a corps member and youth leader, her work involved primarily trail maintenance. As Assistant Director, she provided youth and staff management, administrative planning and implementation and overall support of the camp. Finally, as head cook, Kristi planned, purchased and cooked meals while also supplying crews with food to take on spike. One of the most memorable summers for Kristi involved a mountain lion and pack of wolves creeping around camp and a large garage fire. These incredible events were made even more memorable, because of the bonding and teamwork that happened as a result. They faced several extreme situations and pulled through stronger and more united. Kristi’s whole world view was formed through her involvement with the Corps. It pushed her out of her comfort zone in so many areas and molded her into who she is today. She looks back at her years with the Corps with fondness and wonderful memories. Some times were particularly difficult, but it was those times that helped her grow significantly. “I am who I am because of the Corps.” Her many summers spent with the Summer Youth Corps inspired Kristi to get her Master’s Degree in Clinical Mental Health Counseling and School Counseling. Working in a school provides Kristi with the opportunity to go through life with her students and offer consistent support and care. Kristi and her husband recently moved back to Minnesota from Colorado where she is looking for full time employment as a Counselor in the St. Cloud school district. Janessa Palmer was part of the summer ‘I Can Camp!’ program. As an I Can Camp! instructor, she traveled to over 16 Minnesota State Parks throughout the summer. From Scenic, Itasca and Tettegouche State Parks, all the way down to Whitewater and Forestville/Mystery Cave State Parks, Janessa taught camping basics such as tent set-up and how to build a fire. One of her favorite parts of being an instructor was making educational programming for participants. She studied and developed programs on owls, trees of the north woods and more. Sixteen acres of rain gardens maintained, 784 miles of trails built and improved, 211,489 plants, trees and shrubs planted. These are just some of the many accomplishments Conservation Corps alumni contribute to each year. But what about those things that aren’t so easy to measure? A first fish caught by an inner-city youth, countless memories made with crew members, one life saved. Vincent’s tragic experience motivated him to give back. He committed to a year of service with the Corps, building boardwalks, improving rain gardens, removing invasive species and leading young people. “I was very happy teaching youth about the environment and providing life lessons when I could. The leadership position really helped me grow as a person,” he said. Kellie’s 2011 Corps experience didn’t start off the way she hoped. While playing basketball during orientation (in Camp Friendship’s carpeted gym, she would emphasize) Kellie tore her ACL and ended up spending the first 6 months of her term at a desk job with the MN Department of Natural Resources. Instead of working outdoors, she was relearning how to walk as she did data entry, website development and wrote news releases. As she healed, she traveled to 23 state parks to take pictures of facilities for a reservation database. In July, Kellie got to join the rest of her Three Rivers Crew. She remembers this time as a “blur of hard work” including invasive species management, streambank restoration, oak wilt management and prescribed burns. The hours were often long and strenuous on her still-healing knee. A few of the burns they managed lasted well into the night! Despite the challenges, Conservation Corps helped bring Kellie to where she is today. Her term with the Corps inspired her to go back to school for Wildlife Biology. She loves animals of all kinds. Some of her favorite Corps memories included chasing snakes and identifying different species of frogs. Her first job out of college was back at Three Rivers working with their wildlife department. The skills she learned at Conservation Corps helped land her in that position and, eventually, back into a job with us. “Felling trees, harvesting seedlings, planting. Everything involved trees,” says 2010-2011 alumni Evan Hill. As part of the Three Rivers Crew, Evan’s work allowed him to be a part of every stage of landscaping. A project that stands out was a 2011 stream bank restoration project. Evan’s crew had ownership over the program from beginning to end. “It really felt like our project,” says Evan. After serving with the Corps, Evan moved to Missouri to get his Master’s Degree in Fisheries and Wildlife Sciences. Having the opportunity to be a Conservation Corps crew leader provided Evan with useful leadership experience during his Master’s program. He appreciates the practical experience he gained, fellow crew members he met and fun he had with Conservation Corps. Today, Evan works as a Wildlife Programs Coordinator with the Missouri Department of Conservation. There he monitors the Great Missouri Birding Trail, tracking habitat and changes in the environment. He also designed the website for the trail, including a digital map. Check out his work, here!